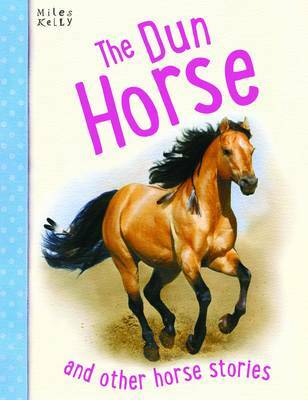 Horse Stories The Dun Horse includes four fantastic stories that young horse fans aged 5+ will adore. With enchantingly illustrated stories of adventure, friendship and bravery, children will be hooked from beginning to end. Horse Stories The Dun Horse is a great way to introduce kids to classic literature, with extracts from Louisa M Alcott's Little Men and Anna Sewell's Black Beauty story book. Now, it happened one day, after the tribe had moved away from the camp, that this old woman and her boy were following along the trail behind the rest, when they came to a miserable old dun horse. The poor old thing was exhausted. He was blind in one eye, and had a bad back. In fact, he was so downtrodden that none of the Pawnees had been willing to take the trouble to try to drive him along with them. He had been left behind.